One of France’s most esteemed liquor sellers says some high-society thieves have made off with about $800,000 worth of its fanciest spirits. 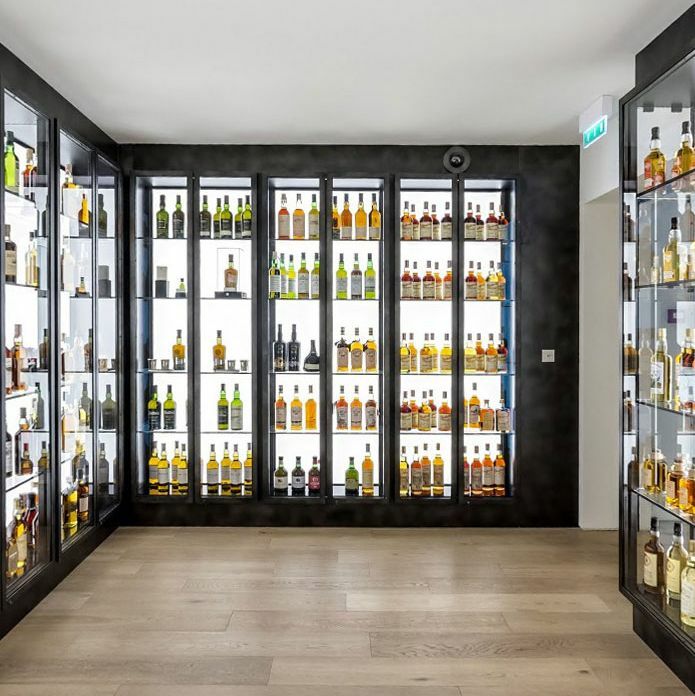 Like the bandits who looted some of the French Laundry’s best wines in 2014, these pros knew what they were after: According to news reports, they smashed their way into La Maison du Whisky’s store near the Champs-Élysées and went straight for the best whiskeys. (La Maison has plenty of them — its website is simply whisky.fr, and that location on the Rue d’Anjou carries 1,300 different bottles.) They reportedly hit the collectors’ room, packed a total of 69 bottles into sports bags, then fled on foot. The biggest get was a vintage bottle La Maison had displayed in a showcase — a 1960 Karuizawa known by collectors as “the Squirrel.” It’s the oldest Japanese single malt, one of only 41 ever put out by the cult distillery, which closed in 2011 and often gets credited with making the world’s rarest whiskeys. That bottle of Karuizawa is reportedly worth over $100,000. But according to La Maison, there’s some bad news for its new owners: “This bottle is unique because of a physical particularity that makes it traceable and difficult to resell,” the store’s statement says.